The best reasons why you should buy the Google Nexus 7 32 GB Tablet as compared to the Apple iPad Mini Tablet are given in this article. The article provides a feature wise comparison between the two devices. You will get to know the specifications of both the tablets and which is better one of the two for each feature. 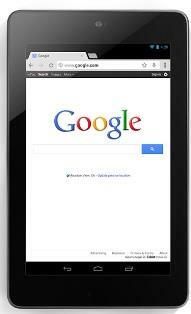 Compare prices too of the Google Nexus 7 32 GB Tablet and the Apple iPad Mini Tablet. The competition is getting heated up in the world of pocket-sized hand-held devices; more so now that the trendy Google Asus Nexus 7 is now available in a 32GB variant. It has become a major opponent of the Apple iPad Mini. We will check out how these 2 compete head-to-head and feature by feature. The Apple iPad mini & the Nexus Asus 7 are both sleek looking gadgets. However, while the Nexus 7 is available only in the boring black color which is uniformly seen in most tabs, the iPad mini is available in a combo of black & gray or a combo of white/silver. More than drooling over the good looks of a PC tablet, what you definitely look for is how it feels to hold in the hand. Is it light? Is it easy to hold on to within one hand? With regard to the iPad mini, since it has a wider screen than the Nexus 7, it does not sit comfortably in your hand if your palm-width is smaller. What's more, the metallic material used does tend to feel hard. The Nexus 7, on the other hand, is not only good to hold but is also touch wise good to feel. Due to the rubber texture at the back, it provides a good grip, not to mention no blotchy fingerprint marks being left behind. 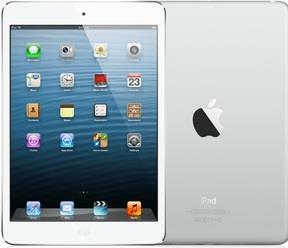 As for the weight, the Apple iPad mini is the obvious winner no doubt, with a feather weight of just 308 grams, as compared to the Nexus 7 which tips the scales at 340 grams. However, this should not be the criteria for rejecting the Nexus 7 & opting for the iPad mini! There are far more important features to compare before making that vital decision on which to buy. You would obviously prefer a tablet with a good width so that things are not squashed within narrow perimeters. Here, the iPad mini definitely is better. The 7.9-inch screen is ideal, as part of a video or an image does not disappear off the sides and browsing something in e-space includes more aspects than it does when viewing it on the screen of Nexus 7. The display of any tablet will naturally be a major factor when choosing a device. After all, you don't want a tablet with a blurry display do you? This is where the iPad mini suffers. While colors literally explode with vibrancy on the Nexus 7, on the iPad mini they look more dull & paler. Consequently, images and videos have greater clarity on the Nexus 7. What's more, even the words in a text appear crisper. Hence, if you are an enthusiastic e-books reader, you should go for the Nexus 7. Once you boot up your PC tablet, you will quickly want to start working on it. In the Nexus 7, the problem begins at the boot-up stage itself because you cannot even locate the button (at the side, not at the front) as quickly as you would wish. The iPad mini, on the other hand, has a clear dedicated button at the center to boot it up. The power button is also sensibly placed away from the buttons which control the volumes & locking system. Hence, locating each is no big deal. Since the iPad mini is an Apple product, it comes with its own Lightning connector wire which you connect to the USB port of the device for charging. This is a disadvantage as you could easily misplace the wire & then will need to buy a new one. The Nexus 7 has no such headaches – the old-fashioned simplistic USB cable to plug into the micro USB port will do just fine for charging. The Nexus 7 does not have a camera at the rear. Today most tablets (and even cell phones) have a camera at both the front and the rear. The point of this is to take a snap with the rear camera, check it out on the front screen & quickly share it with others. Of course, if you are not the type who takes snaps to share it in the first place, this is not really a big deal. The Nexus 7 does have a 1.2-megapixel front camera which records VGA, while the iPad mini's 1.2-megapixel front face time camera records 720p. In addition, with the iPad mini's rear facing iSight camera you can snap 5 megapixel still shots as well as record 1080p video. However, as far as quality of snapshots goes, the iPad Mini's camera is an absolute ace while that of the Nexus 7 is not worth talking about. The processor at the heart of the Google Nexus 7 Processor is the Nvidia Tegra 3 quad-core CPU which is of 1.3GHZ. This heart also includes a 12-core Graphics Processing Unit (GPU). Looking at the Dual-core A5 processor of 1 GHZ which is in the Apple iPad mini, it is obvious that the Nexus 7 processor is definitely ahead – especially if you need a fast device for gaming. We all hate devices which gobble up too much power & need frequent juice. The Nexus 7 is powered by a 4325mAH battery, whereas the iPad mini operates on a 4440mAh battery – a very very slim difference. Yet, the battery life of the Nexus is not good at all, draining out far sooner than you would like. The Google Nexus 7 works, naturally, on the latest Android 4.2 Jelly Bean version while the Apple iPad mini ships comes with its own company's iOS 6.1. Now the disadvantage of the latter is that, unlike the former, it cannot sync stuff or manage files independently but relies on another source, such as iTunes. Speaking of iTunes, we should also compare the apps on the 2 devices – after all apps are often one of the core reasons, why people prefer one device over another. The Google Nexus 7 tablet does fall short of the iPad mini as far as apps are concerned. There are far better apps available for the iPad mini than for the Nexus 7, not to mention the latter's apps being designed specifically for Android smartphones. In fact, even for something as simple as Facebook apps you will take time to work around it, unlike the iOS platform. However, as mentioned earlier, if you just love e-books, the Nexus 7 is the better option simply because they are cheaper at the Google store than at the Apple iBookstore. You will likely allow your kids access to your tablet, but would not want them to access certain apps. On the iPad mini, you can arrange to have certain apps from being viewed by your kids but this is only with the case of the already existing apps which are inherent in the device. Third-party apps cannot be blocked out at all. With the Nexus 7, on the other hand, you get apps which fence in kid-friendly apps from other apps (adult or unsafe or plain dodgy ones). Full brownie points then go for the Nexus 7. The Nexus 7 32GB costs $249 while the iPad mini 32 GB costs $429. That's a whopping difference of $180! Even the Nexus 7 32GB Wi-Fi + cellular variant is $299 as compared to the same variant of the iPad mini which comes with a price tag of $559. In my view, when you are getting great value for money with the Nexus 7, why pay more for the iPad mini? Unless, of course, you are a die-hard fan of Apple products and won't even condescend to give a second glance at any other device!